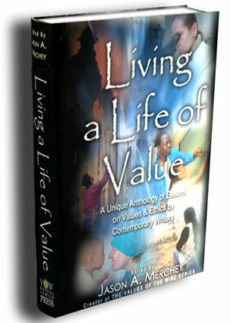 More than just a book of quotations, Building a Life of Value is a fusion of great thinking – from classical to contemporary, from philosophical to poetic. 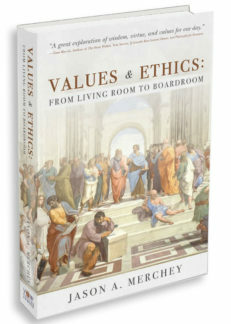 Highlighted with thought-provoking essays by Jason Merchey, these words of wisdom will help you to “build a life of value” and thus become the architect of your life. If you’re looking to stimulate your thinking, energize your spirit and create your own blueprint for living a life of value, add this book to your shopping cart. It has been very well received by readers as well as philosophers, businesspersons, professors, thought leaders, and cultural creative types (click here for endorsements). It makes an incredible gift or coffee table book, but you are welcome to return it if you don’t find if valuable. For an in depth description and links to more PDF samples click here. Make Wisdom Your Greatest Strength! Email address: Sign Up and Receive Wisdom-Based Ideas, Tips, and Inspiration!